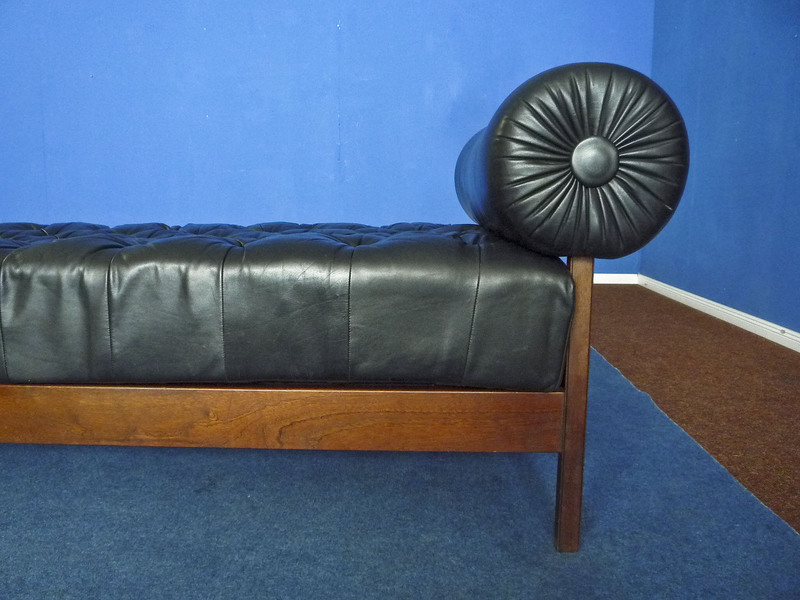 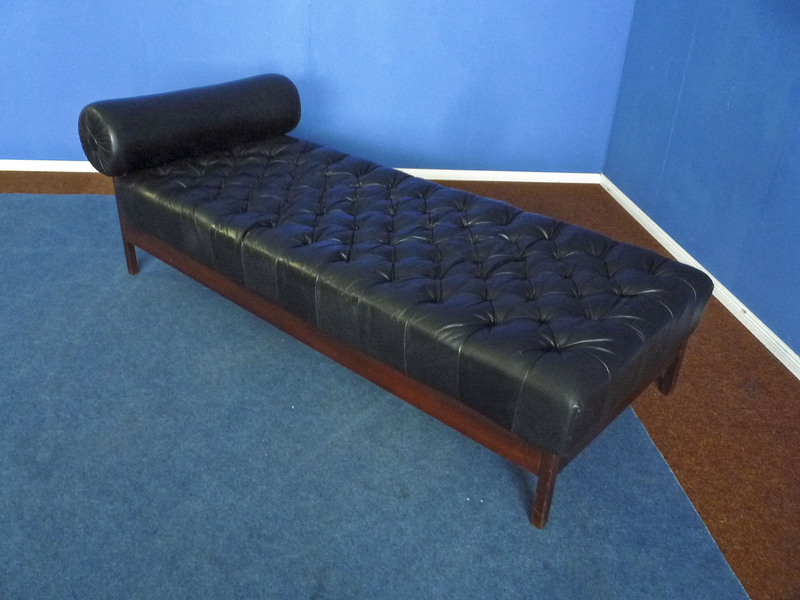 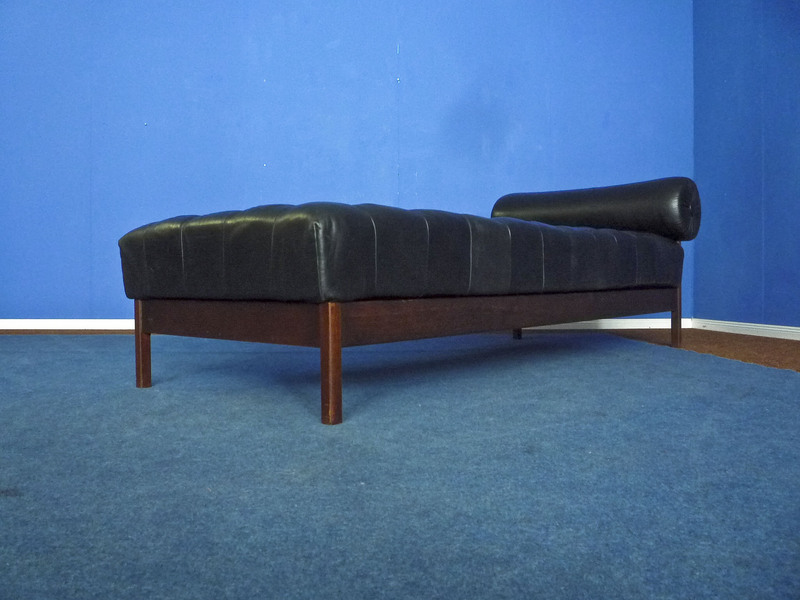 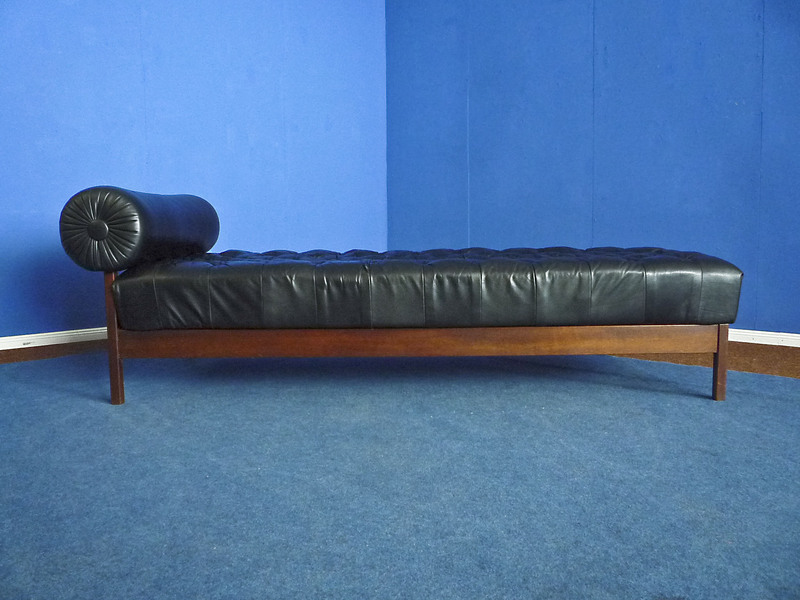 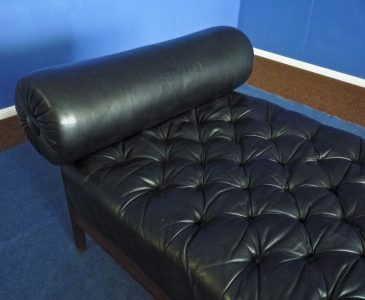 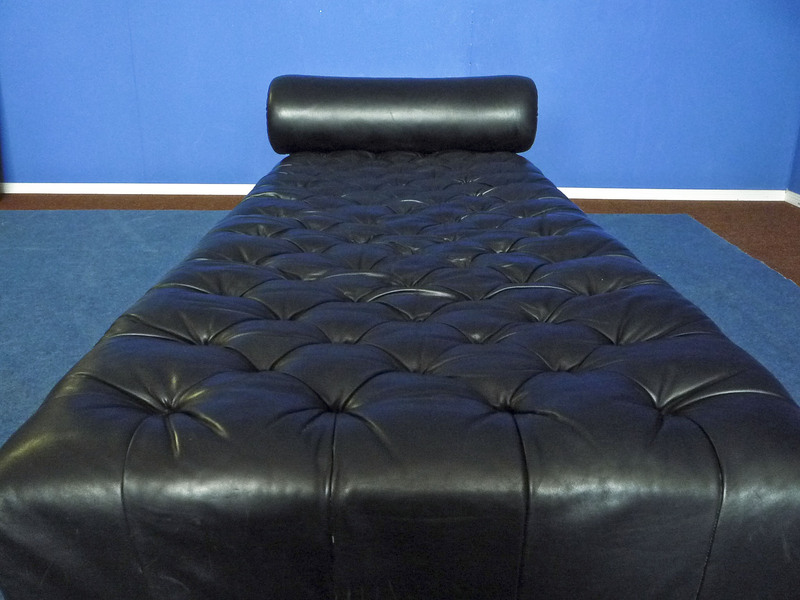 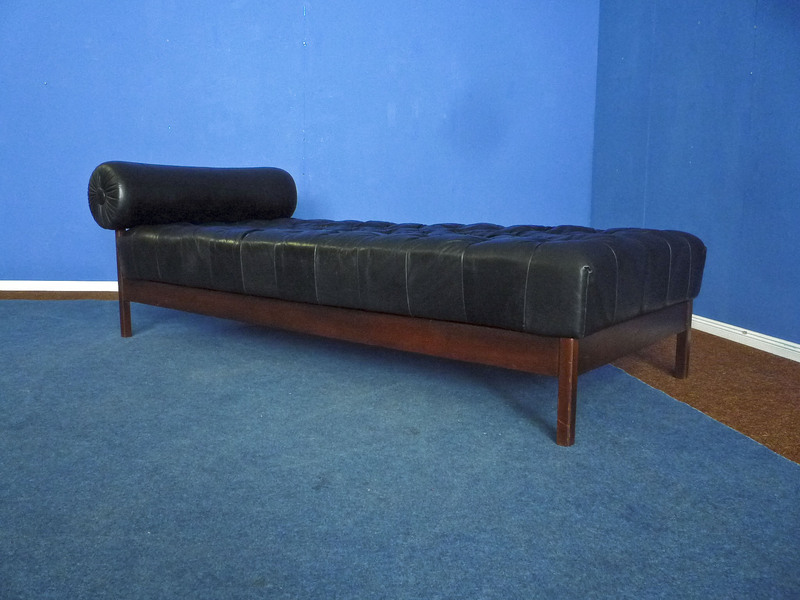 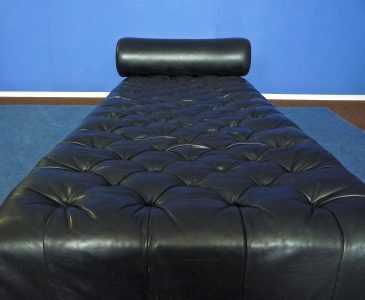 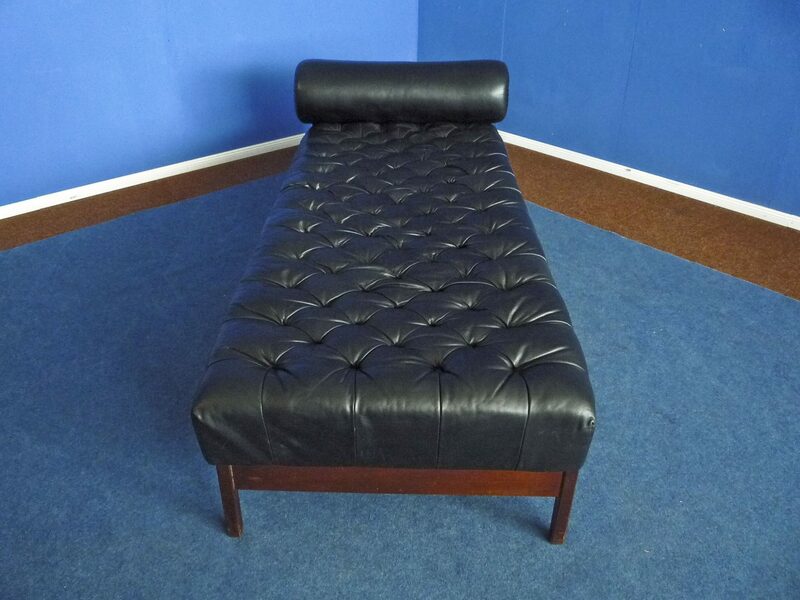 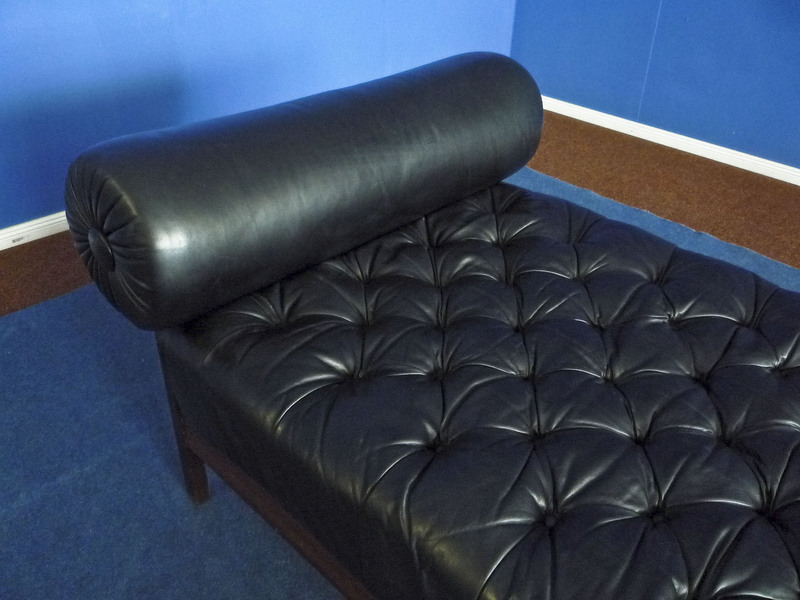 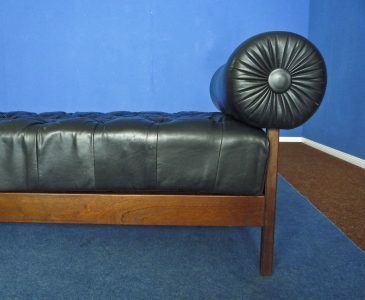 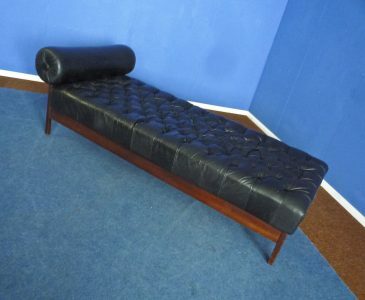 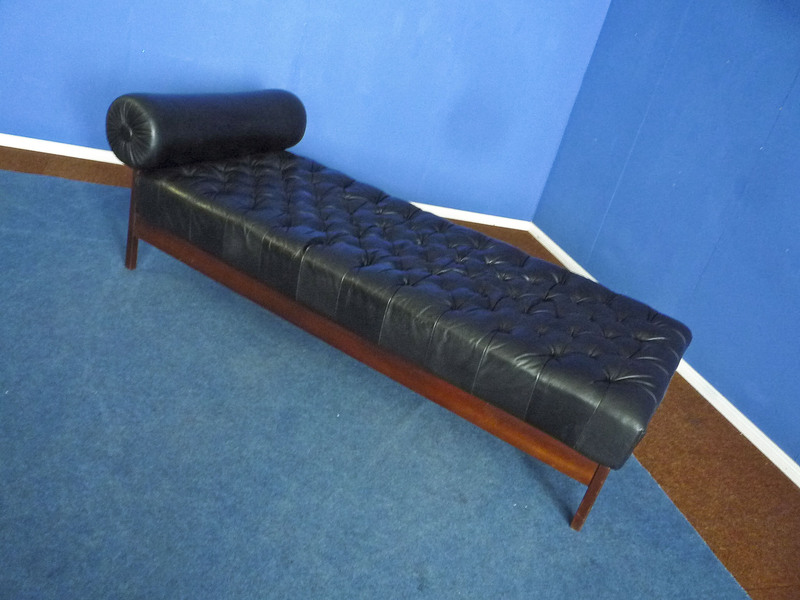 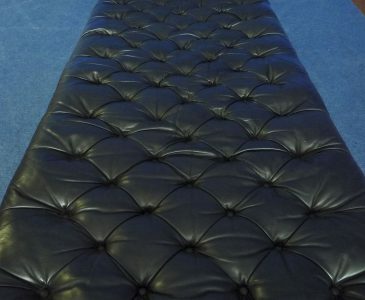 Extravagant leather daybed from the sixties. 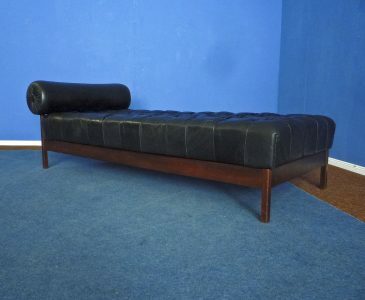 From first owner and bought in 1966. 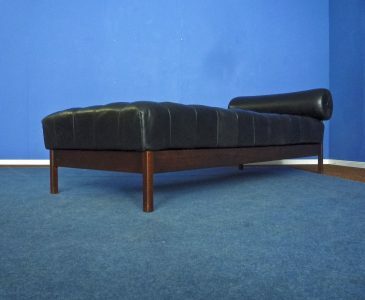 The daybed comes from a psychiatrist. 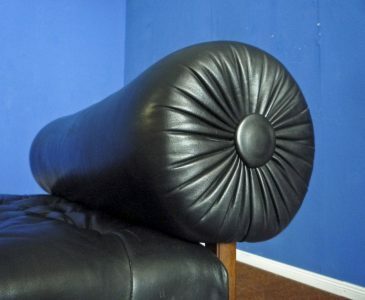 High quality processed. 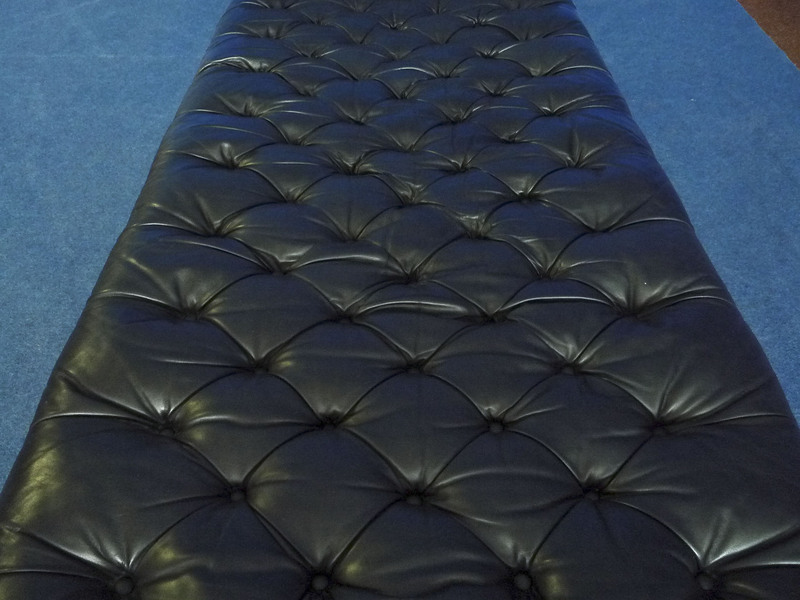 All buttons were renewed by the expert. 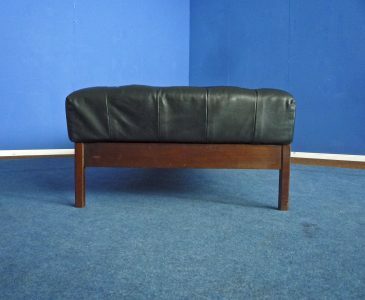 Frame solid wood. 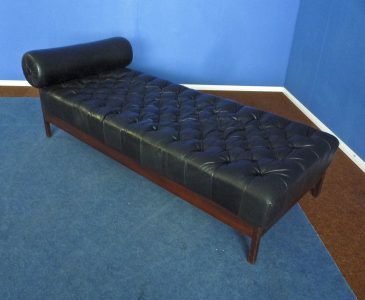 Very nice condition with minimal signs of wear. The daybed is clean and stable. 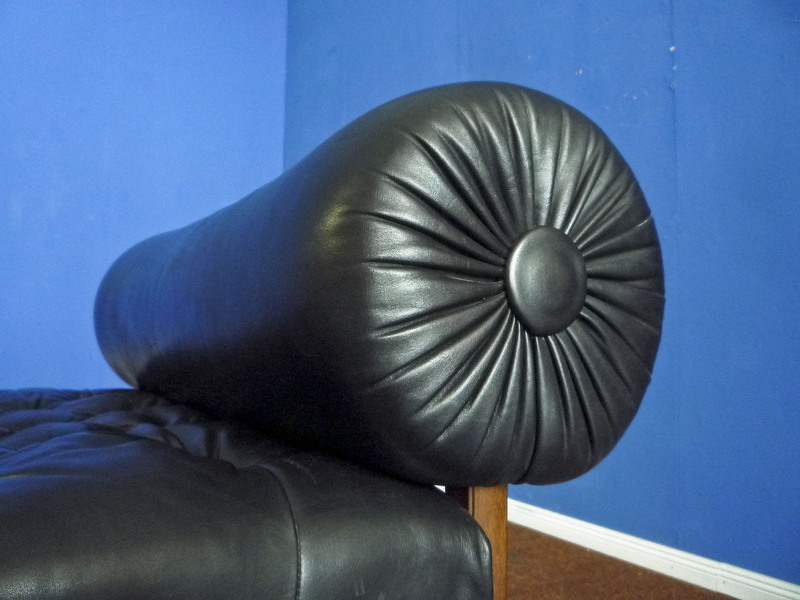 Seat height 48 cm.